In images released by NASA on Monday, bright spots on the surface of Ceres stand out. 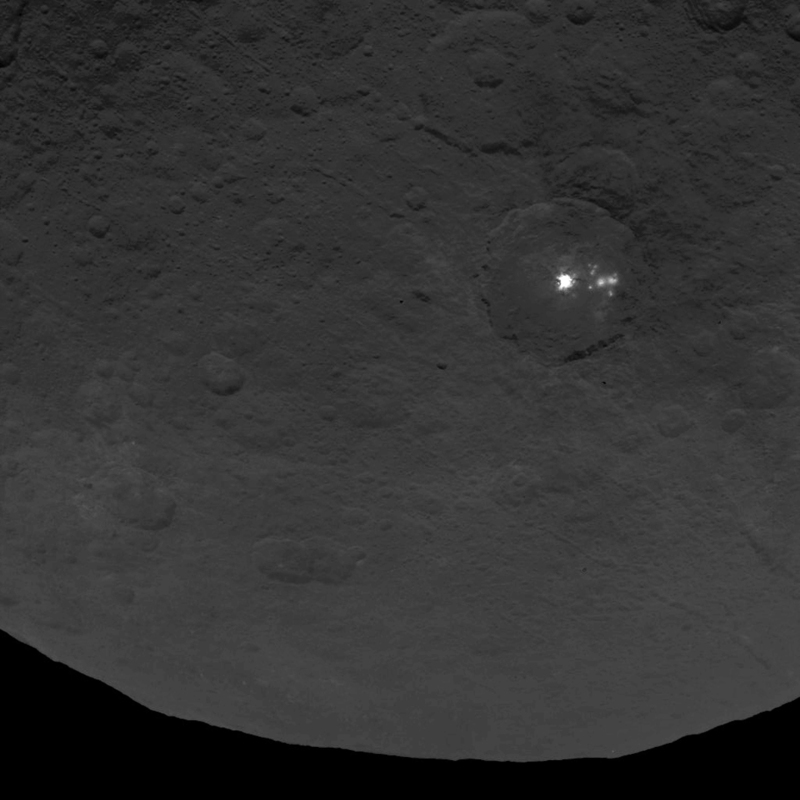 NASA says these lighted areas are a mystery until we get closer to the dwarf planet. 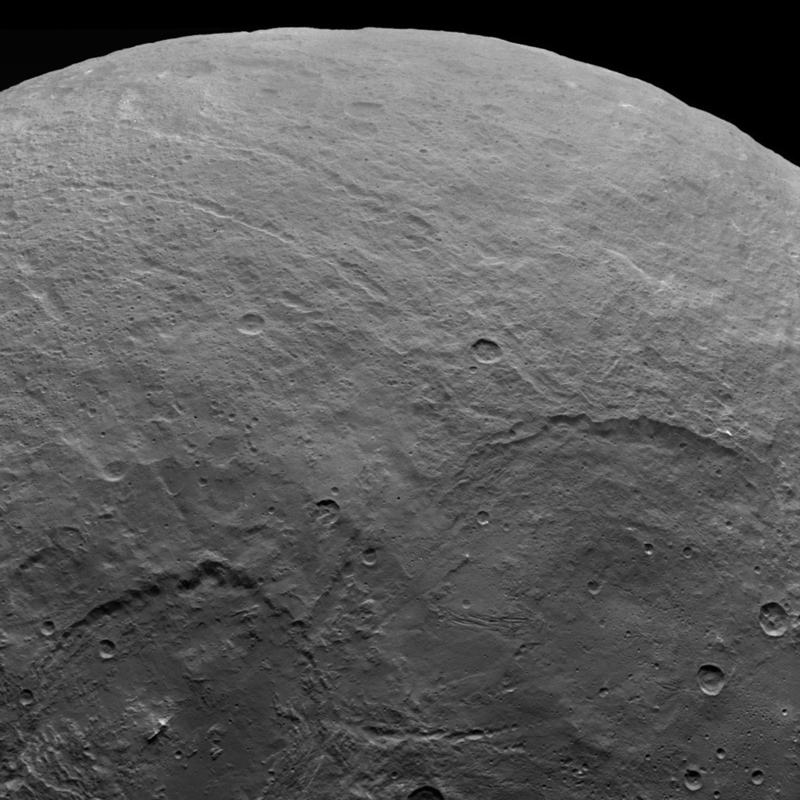 Ceres is only becoming more interesting the closer NASA's Dawn spacecraft gets to it. 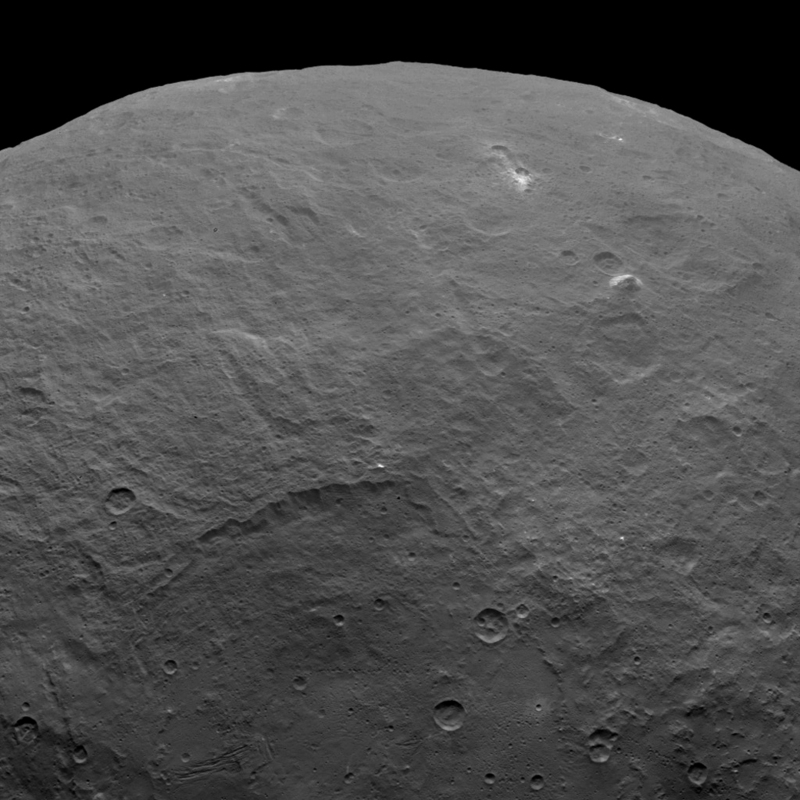 On Monday, NASA released images taken by Dawn that show mysterious bright spots on the dwarf planet's surface - and no one knows what they are. The Dawn craft was launched in September of 2007. 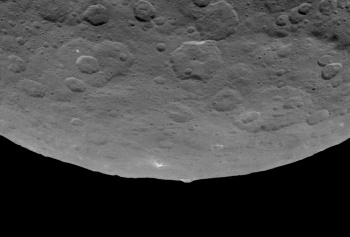 After completing a survey mission of Vesta, it entered Ceres' orbit in March 2015. 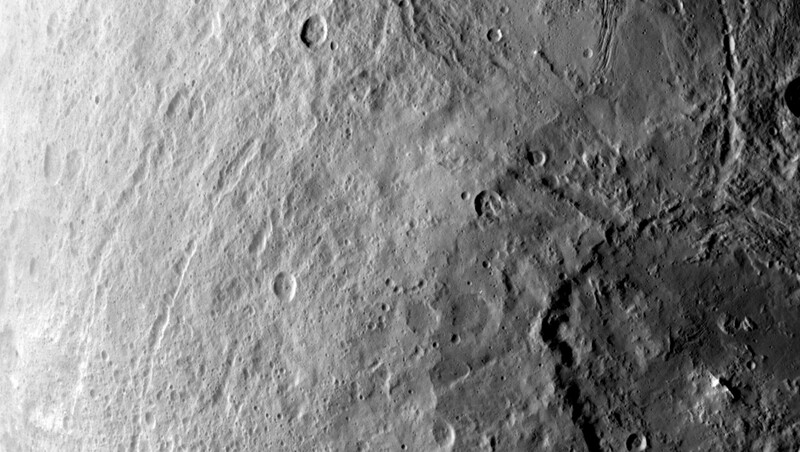 Ceres has an important place in the history of astronomy. It was the first asteroid known to astronomers, and remains not only the largest object in the asteroid belt, but the biggest of the minor planets within the orbit of Neptune. For some time after its discovery in the early 1800s, it was considered a planet - years before Neptune or Pluto were even twinkles in a telescope's lens. 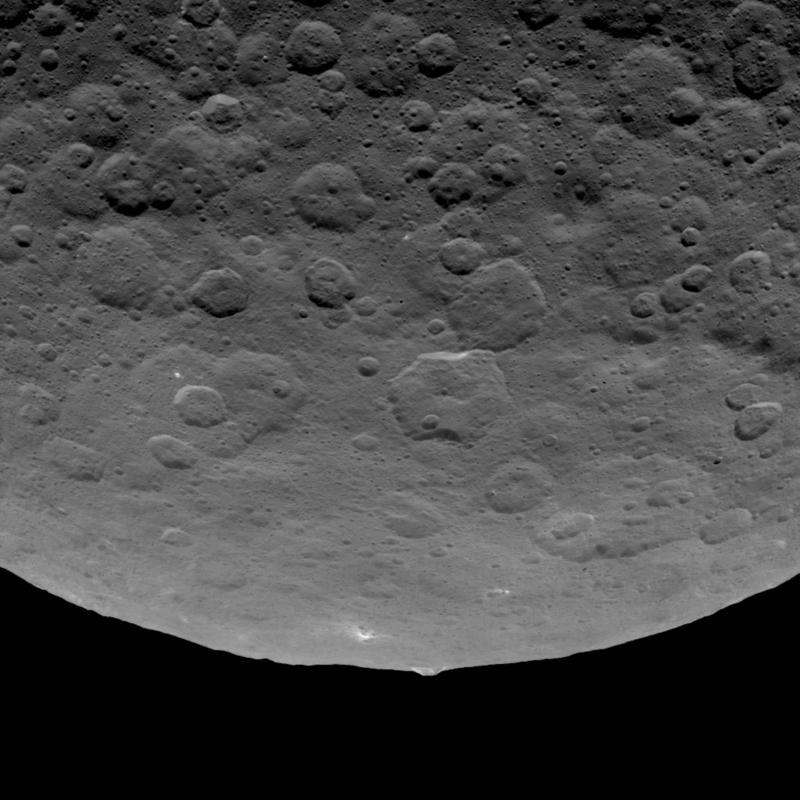 The bright spots on Ceres are going to remain a mystery for a little while longer. NASA and JPL hope Dawn will enter High-Altitude Mapping Orbit (HAMO) in August of 2015, and Low-Altitude Mapping Orbit (LAMO) in October. By then, close-up shots should shed some light on the phenomenon that has perplexed scientists and star-gazers. Before we know for sure, however, NASA is encouraging its amateur astronomer fans to vote on what they think the spots really are. Make your choice here and discuss in our forums! My bet is "giant magnifying lens pointed directly at us," but NASA keeps rejecting my vote. 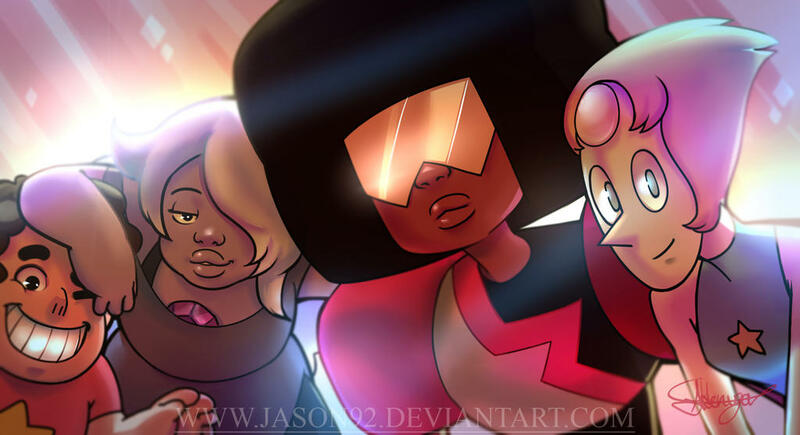 Obviously its the Gems, come to invade earth and use it to grow more gems. We need to call upon the crystal gems to squash this threat. My guess is that it will be proof that EVERY conspiracy theory is actually true. You'll find a wrecked titanic, the blue prints of the moon, all that stuff. OK, I'll be the straight guy and say there's nothing special to these pics. The bright spots are either elevations catching and reflecting light similar to what the moon does (evidence for this being the fact the the rims of some of the craters are doing the same thing), spots on the camera (as anyone with glasses can tell you dust/dirt become white spots when light hits them), or it's deterioration in the picture quality. Except for pic 5. That's obviously the entrance to a Forerunner base. Let's hear what the authorities on the subject have to say! I'm surprised it took 5 posts for that guy to show up, must be having an off day. Also a valid contender. I was thinking something from sailor moon, but couldn't quite remember it. It's been a while since I've seen that, almost makes me feel old. My money is on that the bright spots are just doorways to the realm of the Old Ones and they will come through once the satellite has passed close by enough to reach out and take it. I'm pretty sure Ceres is one of those celestial bodies to have confirmed water ice in it's make-up, so impacts like the ones in the images could have smashed away the dirty, gritty surface to reveal fresh, clear, reflective ice. Either that or it's Antarans. Dammit Mass Effect, you lied when you said the Relay was in Charon. It was in Ceres all along! I'm betting on something like this, too. Read somewhere that a theory as to why Ceres is so near-spherical for its size is that it's mostly ice around a rocky core. I was actually at an astrobiology conference all last week. Somebody presented a poster on Ceres, but sadly there was nothing new presented. Which of course means that the brain worms have infected all the NASA scientists and are keeping the invasion plans secret.